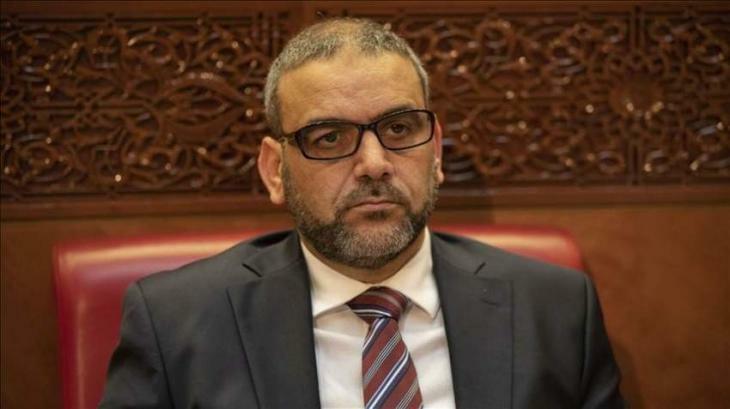 CAIRO (UrduPoint News / Sputnik - 16th April, 2019) The president of the Tripoli-based High Council of State (HCS), Khaled Mishri, said on Tuesday that he did not see the League of Arab States (LAS) take a stance against the ongoing fighting in Libya and accused its secretary general, Ahmed Aboul Gheit, of siding with Khalifa Haftar, who is leading an offensive against the country's capital and UN-backed government. "We did not see the League of Arab States taking a stance against the fighting. Its [general] secretary has sided with Haftar," Mishri said during a news conference. The HCS head added that the council would participate in an inter-Libyan dialogue only if Haftar would not be part of it. On April 4, Haftar, the commander of the Libyan National Army (LNA), backed by the parliament ruling the country's eastern part, announced an offensive against Tripoli in a bid to drive what he called terrorist forces out of the city. In response, armed forces loyal to the Tripoli-based Libyan Government of National Accord (GNA) started a military operation against the LNA. Libya has been suffering from unrest since 2011, when its long-time leader Muammar Gaddafi was overthrown and killed. Since then the country has been divided between two rival governments, with an elected parliament governing the country's east and the UN- and EU-backed GNA ruling the west from Tripoli.